Christmas is a good time to consider books (they make great gifts, just sayin’) and other beautiful things. How to read poems out loud. Mary Cassatt is one of my favorite artists. Do we really need all this stuff? No. I love these creative hairdos for Crazy Hair Day! Which authors get paid the big bucks? No surprises on this list. 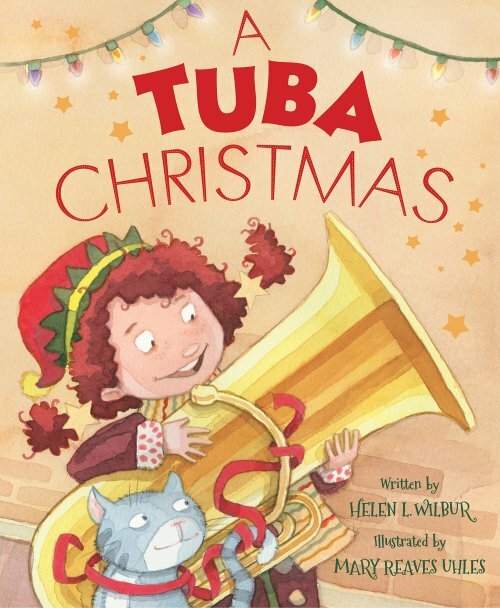 Christmas and winter picture books for the little ones on your list. And books for precocious children. Think you don’t have what it takes to do what you want to do? Pretend you’re someone else then. You may have noticed I’m a bookaholic. That’s why I love art connected with my passion. Lottie Loses the Lottery (picture book): Lottie has the worst luck. She didn’t win the lottery–but her next-door neighbor, Eva, did. How can Lottie shed her funky mood and be genuinely happy for Eva? Lottie went to the bathroom and glanced at the mirror. A bitter face scowled back at her. “What are you looking at?” Lottie asked her reflection. “An ungrateful friend,” said the face in the mirror. “What do I have to be grateful for? I lost the lottery,” said Lottie. “And you can afford to be happy for her,” said the sulky reflection. Let’s just say Lottie’s on the verge of a breakthrough that will help her get over her funk and congratulate Eva on her win. This is the last snippet from Lottie Loses the Lottery. Next time I’ll share from the story I started on my recent writer’s retreat. I know it’s short, but what do you think of this snippet? Any suggestions on how I can make it better? Please comment below. An enormous package wrapped in colorful paper stood on her front porch. Lottie slid it into the house and closed the door. Attached to the package with a ribbon was an envelope with Lottie written on it. She opened it and found a card. Because you’re you, said the front; inside, scrawled in Eva’s handwriting, was a note: I know you love your shows–when you watch, think of me. When Lottie pulled the paper off the box, she found a television, a big one, nicer than the one she already had. “Humph,” she sniffed, and pushed the box into a corner. I know it’s short (10-sentence limit), but what do you think of this snippet? Any suggestions on how I can make it better? Please comment below. Hearing sounds of activity in the neighborhood, she carefully parted her window curtains just far enough to accommodate her binoculars. Cars lined both sides of the street. Smiling and laughing, the partygoers walked to Eva’s front door. Lottie could hear snatches of conversations. The cheerful congratulations and laughter made her stomach ache (or maybe it was all those chocolate chip cookies crammed into her gut). Lottie wandered to the back of the house and directed her binoculars out another window. Just as she suspected, guests spilled out Eva’s kitchen door and into her backyard. Twinkle lights glittered festively in the trees, and candles gleamed inside jars on tables scattered around the yard. Upbeat music played softly, and Eva circulated among her friends, carrying a tray loaded with tasty-looking desserts. All those happy celebrators enjoying Eva’s hospitality annoyed Lottie deep down to her core. “Oops, the teakettle’s whistling, got to go.” Lottie put down the phone. Eva has just called Lottie to tell her the wonderful news–she won the big jackpot! Lottie set the phone down and shuffled to her bedroom. She tossed and turned and finally fell asleep, dreaming of clouds of dollar bills swirling past her as if blown by the wind. She tried to catch some, but they always evaded her grasp. Thousands and thousands of dollars! Oh, why couldn’t they all be hers?